Last summer I finished losing a lot of extra weight I had gained from my two pregnancies. 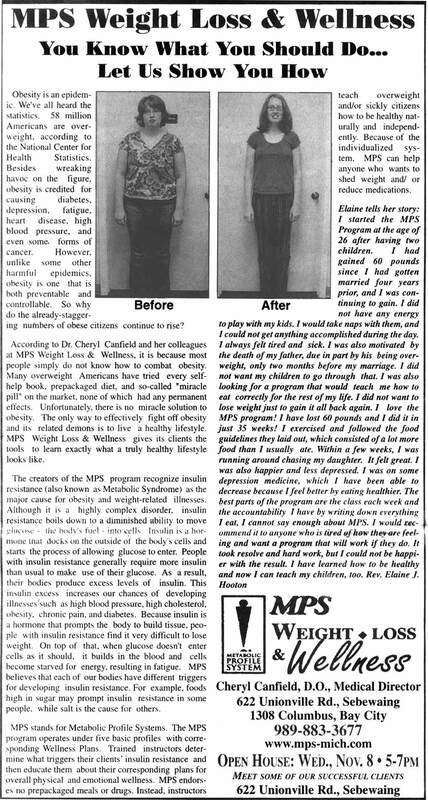 I was in a program called MPS Weight Loss and Wellness. I did really well on the program, which was partly due to the fact that I am still young and my metabolism bounced back more quickly and fully than most participants. The program costs a pretty penny, but I thought it was more than worth it (mind you I haven’t finished paying for it yet, but that is because of extenuating circumstances-I can’t wait to pay the bill off). So what’s so great about the program? They teach you, through weekly classes, why you eat badly and why you need to eat better. They do a metabolic profile on you and then tell you exactly which kinds of food make you, personally, gain weight. I have, and will continue to, recommend the program to everyone. I had to stop eating sugar, refined starches (like white flour) and caffeine. I will never go back to refined starches except for the occasional dessert. And pop is WAY to sugary for me now. The hard part for me is the sugar. I think every one of my teeth are sweet teeth! It continues to be a daily effort to eat right, but it is and will be worth it. The first six weeks you aren’t allowed any “comfort foods”, but after that you can eat whatever you want once a week (one meal or the equivalent – NOT all day!). I even got into the newspaper because of my 65 pound weight loss! I found the article today and thought I would post it. Please, take time to read my portion of the advertisement. It explains my motivation behind losing the weight. P.S. There is no longer a website for the Sebewaing and Bay City MPS (that I know of or could find). However, this link will take you to a listing with the address, phone number and directions to the Sebewaing MPS. It also has a link to Dr. Cheryl Canfield who is the owner. Today I had a good day. I’ve been in such a vile mood, but the doc put me on some different meds and now I feel much happier. I wish I could be like this without meds… But at least I can cope again. Work didn’t even irritate me today. I feel I could accomplish anything. My hubby bought me a wonderful Christmas present and gave it to me early. It was a dishwasher. I’ve been yearning for one for so long. I think that it should be required in all parsonages, but it’s not. If I were United Methodist I would be guaranteed one, but not as an Assembly of God minister. 😦 O well, I have one now. It’s portable so I can take it with me when we move (which is a long time from now I hope). I do like it here in Sebewaing a lot. Lots of friendly people. I do wish that we weren’t in the Thumb (of the Michigan hand), though. I can’t get cell phone service that covers everywhere around here that I go. But the scenery is pretty here. And I love our cute little parsonage. Well, Have a Happy Day!